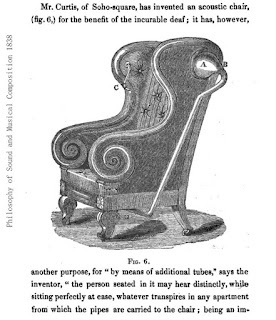 While researching another topic entirely, I came upon Mr. Curtis’s Acoustic Chair. This is another of the items that were familiar enough to people at the time to become the subject of witticisms, while being completely new to me. 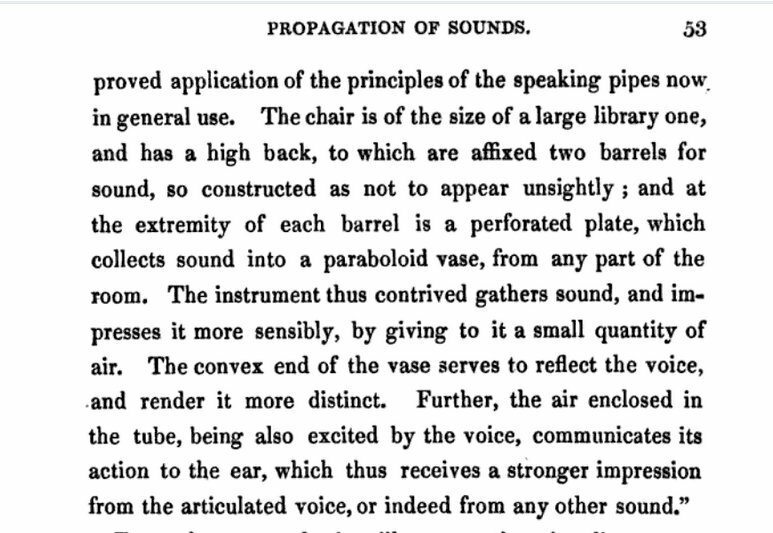 Mr. William Mullinger Higgins’s Philosophy of Sound and Musical Composition (1838), whose relevant pages I show above, contains the shortest and easiest-to-understand explanation I came upon. 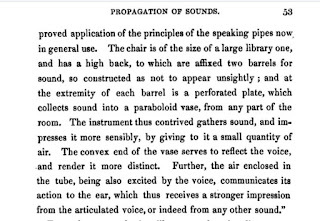 You can learn more of the technical details in the Mechanics’ Magazine of January 14, 1837 here. 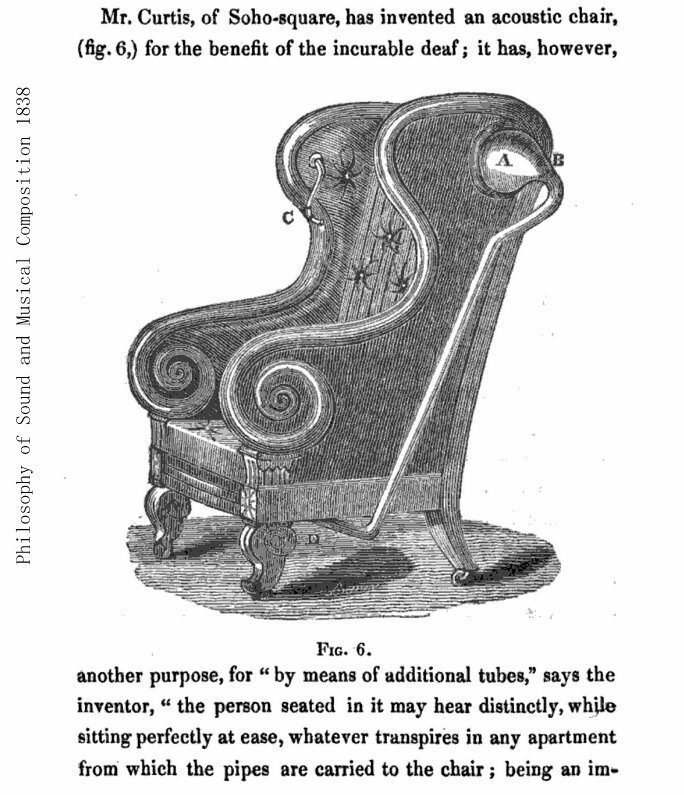 Another illustration (of the chair at home) and explanation appeared in The Mirror of Literature, Amusement, and Instruction on 18 February 1837 here.